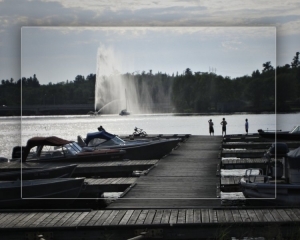 It’s a hot one out there today, I was hoping to catch some of the festivities here in Kenora but there are NONE! Go figure, apparently everything is in Keewatin this year. Oh well, hope I was the only one that didn’t know and no one else missed out. But, I am looking forward to the Symphony on Saturday night, rumor has it that the fire works are being set off to music! Won’t that be cool. Can’t wait!